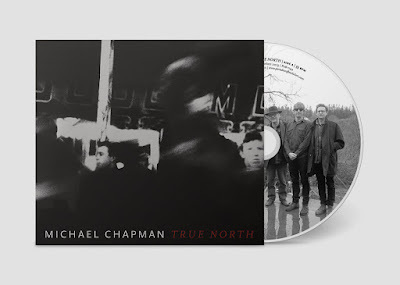 The masterful follow-up to his universally celebrated 2017 album "50," Michael Chapman's "True North" finds the elder statesman of British songwriting and guitar plumbing an even deeper deep and honing an ever keener edge to his iconic writing. This authoritative set of predominantly new, and utterly devastating, songs hews to a more intimate sonic signature — more atmospheric, textural, and minimalist than "50," stately and melancholy in equal measure. Joining him on this introspective journey is a cast of old friends and new disciples: once again Steve Gunn produces and plays guitar and fellow UK songwriting hero Bridget St John sings, collaborating with cellist Sarah Smout and legendary pedal steel player BJ Cole. The elegiac "True North" navigates the treacherous territory of time, resulting in the most nakedly personal album of his career, his most authoritative, unguarded and emotionally devastating statement.